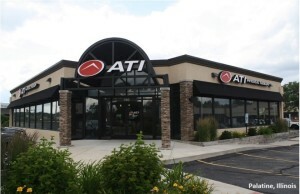 The Boulder Group, a net leased investment brokerage firm, has completed the sale of a single tenant net leased Advance Auto Parts located at 1386 Butterfield Road in Aurora, Illinois for $2,150,000. Sales across the United States are pointing to a national trend in real estate: a shift to a predominantly seller’s market. Nearly two years into a market where the number of houses for sale has steadily dropped and the median sales price has increased, shortages in new construction continue. Illinois homes sold faster and for more money in July, but lower housing inventory drove year-over-year sales lower, according to Illinois REALTORS®. Statewide home sales (including single-family homes and condominiums) in July 2017 totaled 15,677 homes sold, down 4.3 percent from 16,375 in July 2016. Illinois condominium owners now have a comprehensive, educational guide at their fingertips thanks to a recently compiled handbook by the Illinois Condominium and Common Interest Community (CCIC) Ombudsperson, Adrienne Levatino. The Condo Unit Owner’s Rights and Responsibilities Handbook provides an unbiased, objective look at Illinois law governing condominium unit owners and marks the kick-off of the Ombudsperson’s educational program aimed at informing condo owners of their rights and responsibilities. As the second quarter of 2017 ends, the North Shore-Barrington housing market shows an increase in new listings, median and average sales prices. 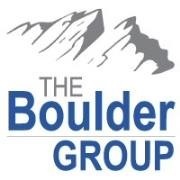 Housing data for June also shows continued growth for closed sales and houses under contract, according to the North Shore-Barrington Association of REALTORS® (NSBAR). Illinois home sales largely held steady and the statewide median price increased in June as motivated buyers were ready to move quickly amid tighter seasonal inventory, according to Illinois REALTORS®. 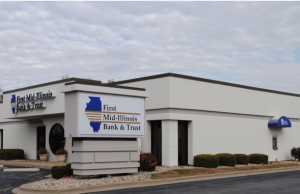 The Boulder Group, a net leased investment brokerage firm, has completed the sale of a single tenant net leased MobilityWorks property located at 9207 N Milwaukee Avenue in Niles, Illinois for $2,490,000. Midway through the second quarter, the North Shore and Barrington area housing markets continue to offer buyers what they are looking for in a home and sales in these areas reflect that. Housing data for May shows the number of new listings and median sales prices slightly fell from the same period in 2016, while closed sales rose substantially, followed in numbers by homes under contract, according to the North Shore-Barrington Association of REALTORS® (NSBAR). Professional garage doors installation and Repair Company, J&J Garage Door and Electric Openers, announced that it has achieved a significant milestone of installing its 1000th garage door. Early predictions of a healthy market performance for the first quarter have held true for the North Shore-Barrington housing market. Housing data for March shows the number of new listings and closed sales rose from the same period in 2016, while houses under contact rose substantially, according to the North Shore-Barrington Association of REALTORS® (NSBAR).